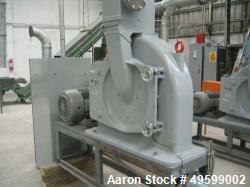 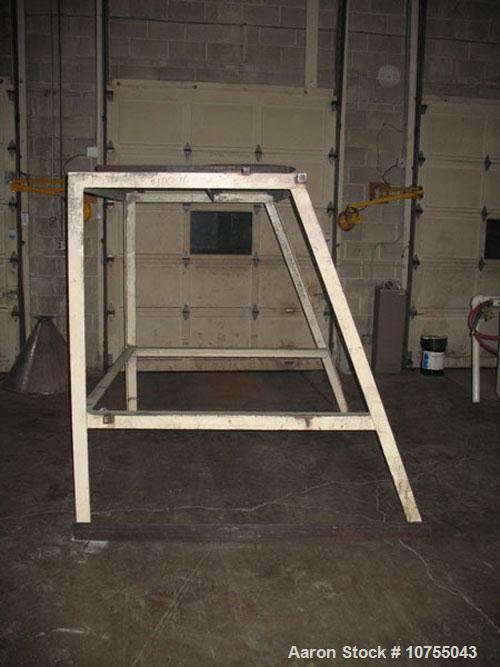 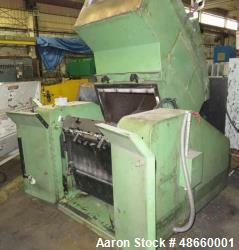 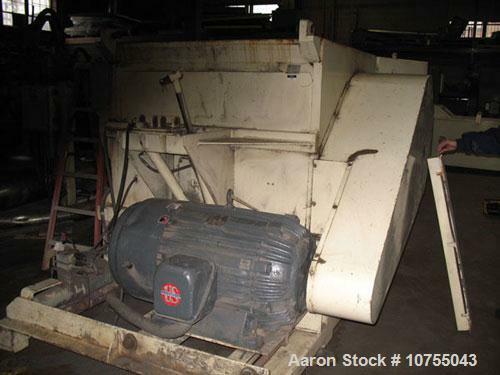 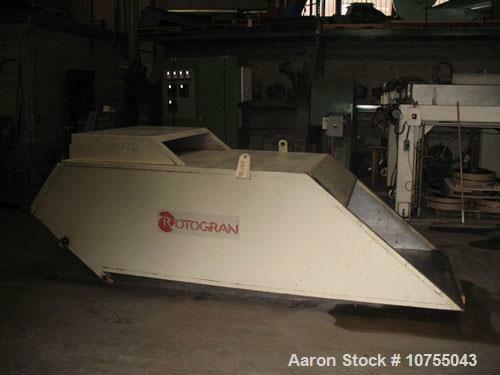 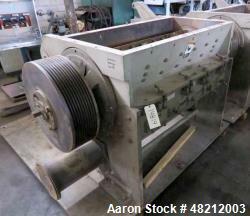 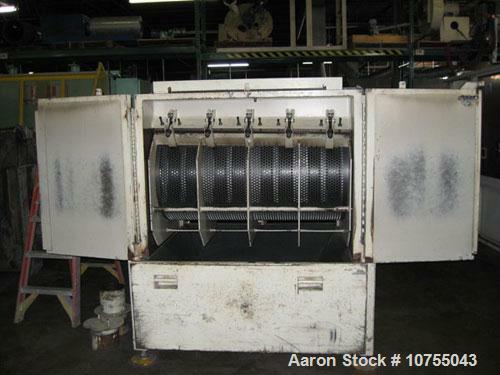 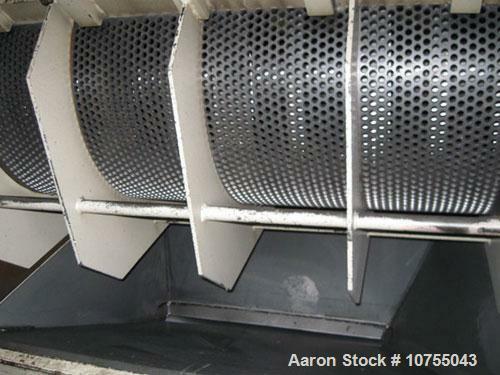 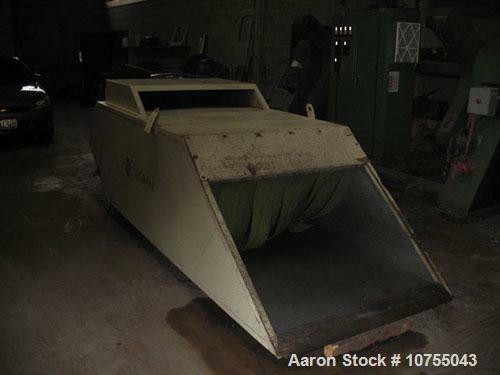 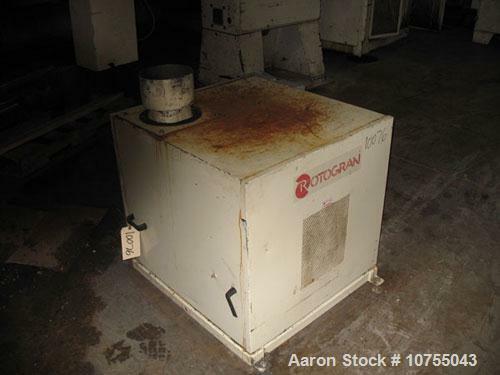 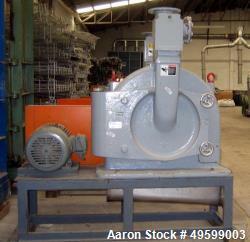 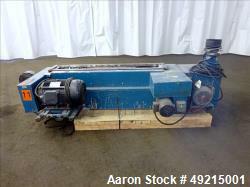 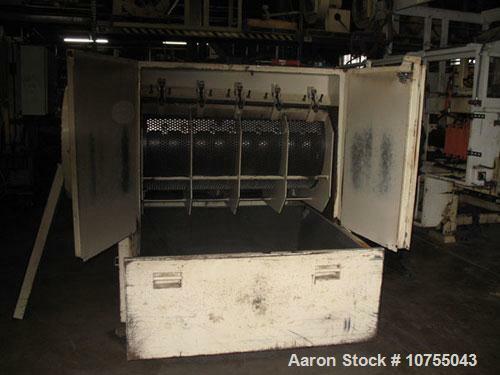 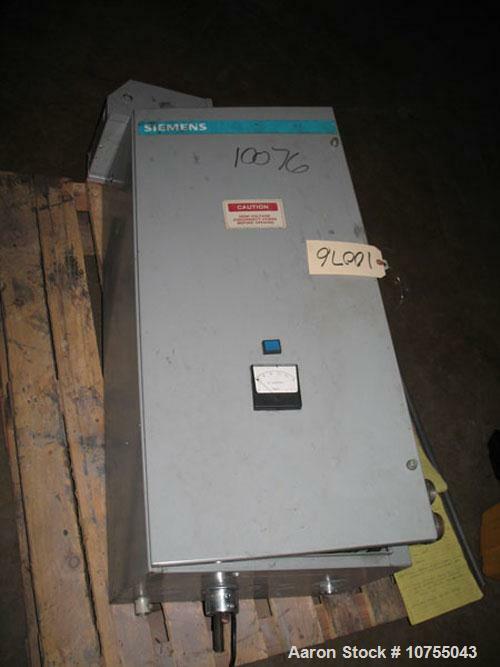 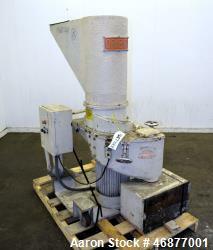 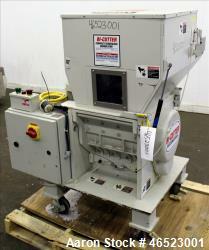 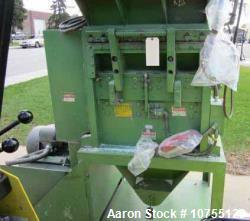 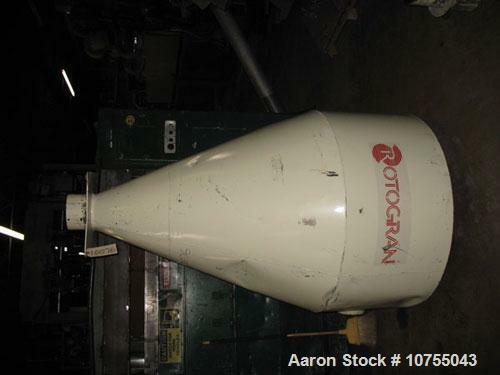 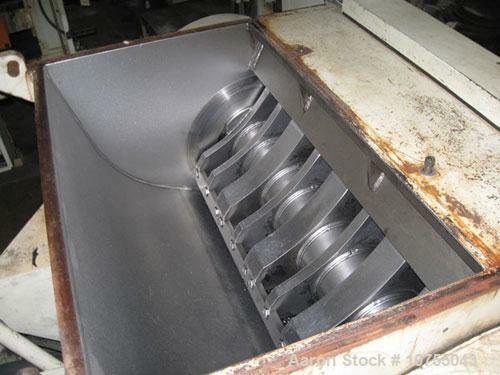 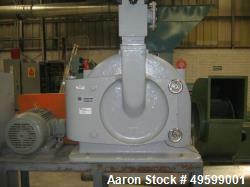 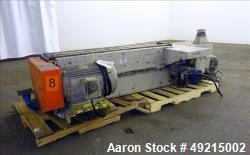 Used-Rotogran Model WO-3052-BF Granulator. 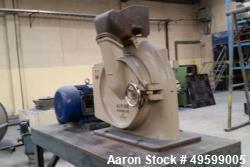 3 knife open rotor, 2 bed knife, 200 hp, 460 volt, 1750 rpm motor. 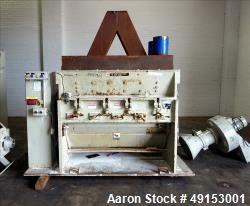 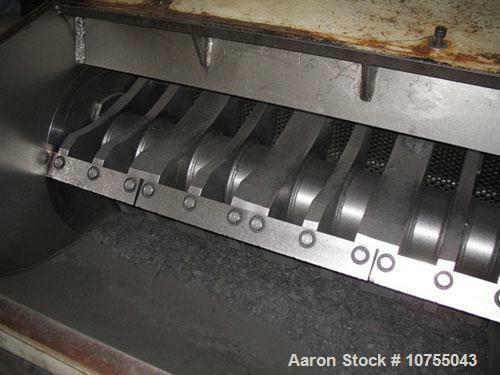 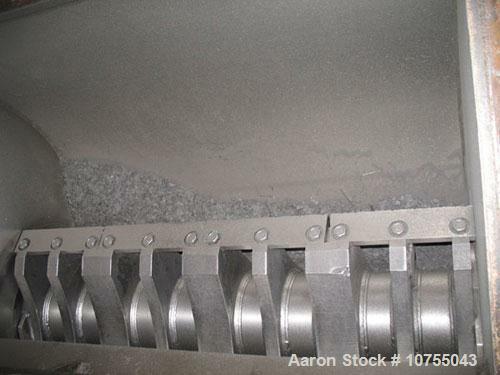 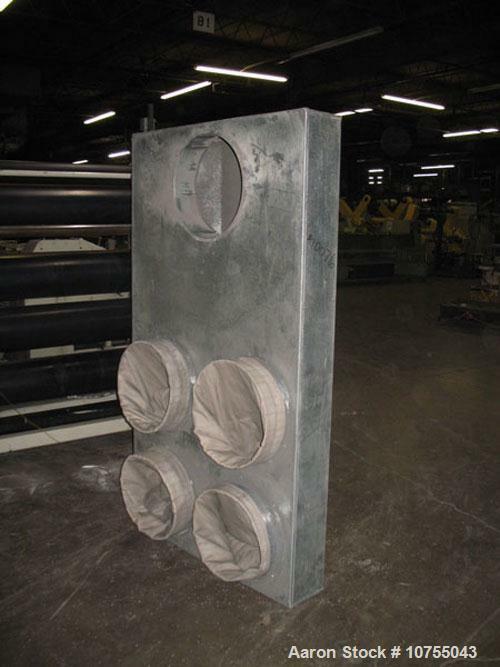 Dual flywheel, tangential cutting chamber, conveyor feed hopper with hydraulic jack tilt back assist, 1/2 holes screen, 8" airveyor discharge, on mounting pads. 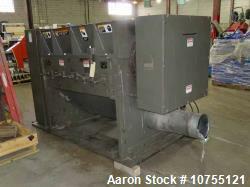 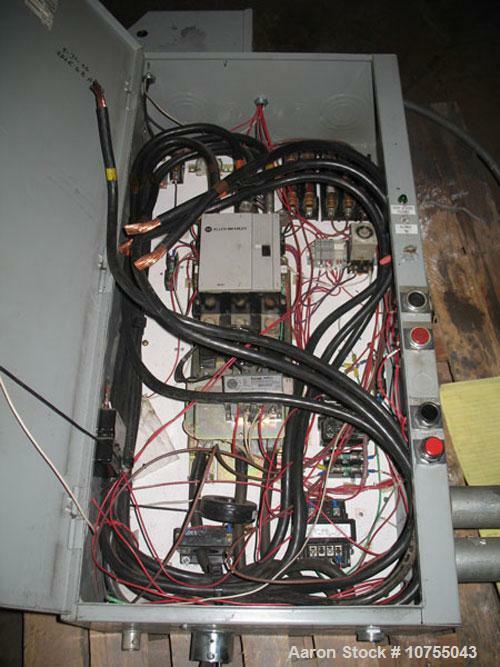 Includes starter and controls for granulator and blower, 7.5 hp blower with sound enclosure, cyclone with stand, and filter manifold.